If we were to keep this bio strictly music-related, it would already be over. Besides showing up in the VIP section of various nightclubs and concert venues around the world and ornamenting a slew of b-list rock stars over the years, Paris Hilton hasn't made much of an impression with her music career. That changed -ÃÂÃÂÃÂÃÂÃÂÃÂÃÂÃÂ- for about an Internet minute -ÃÂÃÂÃÂÃÂÃÂÃÂÃÂÃÂ- in late May 2006 with the appearance of "Stars Are Blind," Paris' sultry, reggae-pop single, and its racy, "Wicked Game"-inspired video, which got more attention than the song itself. While "Stars Are Blind" isn't half-bad, it's not exactly half-good: gauzy overproduction keeps the focus away from her voice and on the track's vaguely provocative, summery vibe instead. 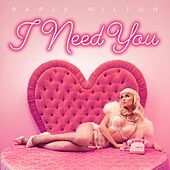 Paris' eponymous full-length, featuring production by beau-of-the-moment Scott Storch, as well as Jane Wiedlin from the Go-Gos, saw release in August of '06.